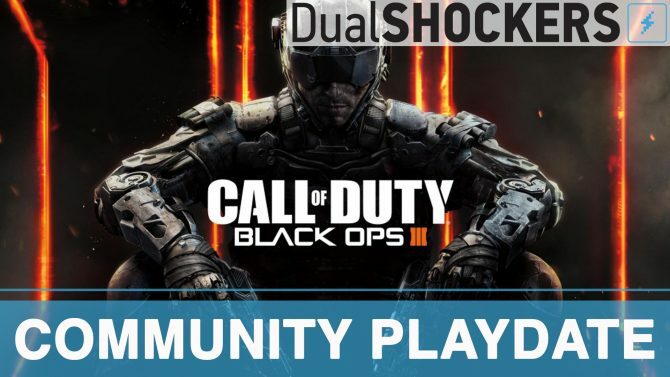 A bunch of DualShockers community members grabbed a copy of Call of Duty: Black Ops III when it popped up on Playstation Plus last weekend. We figured it was high time we all played it together! Good news, everyone! 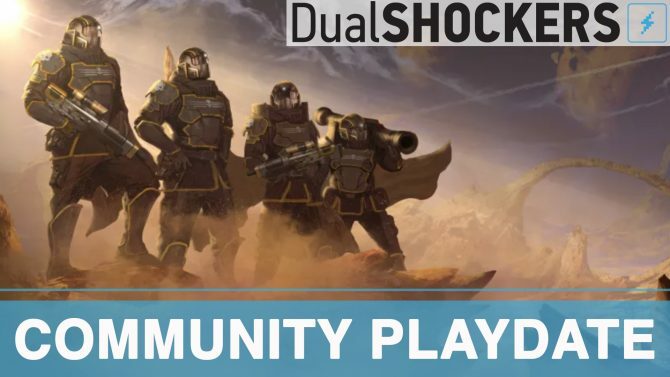 It is finally time to play some Helldivers with the DualShockers community! This is going to be a bloodbath. It's DualShockers Weekly Community Playdate again! 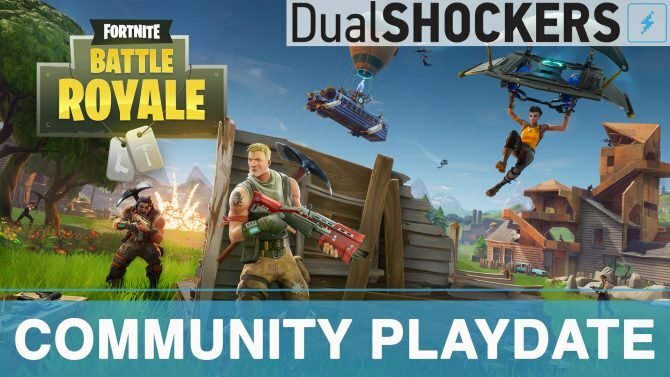 For tonight's DualShockers Community Playdate, we're heading back to Fortnite Battle Royale! After all, it is a brand new season. 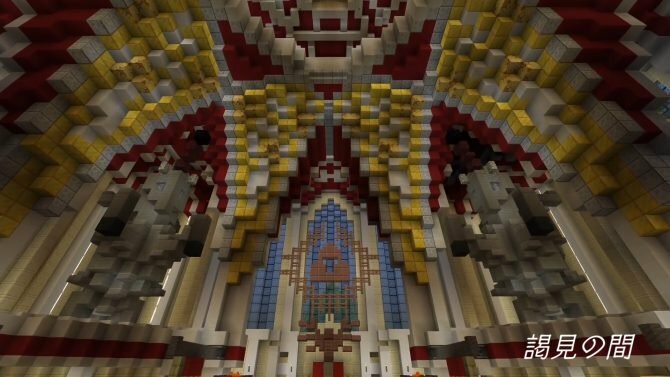 The whole map should be getting some changes and upgrades, so let's explore Season Four together. 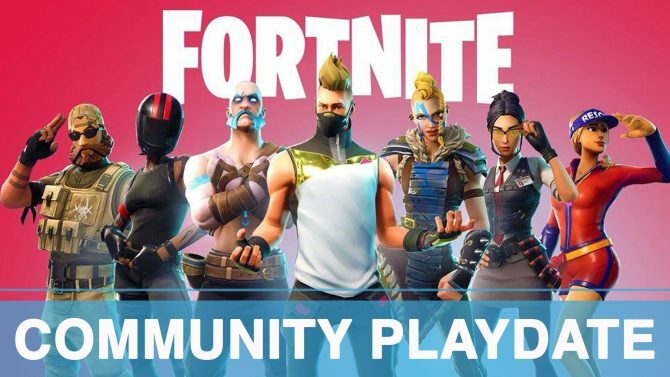 We asked on twitter and the answer came back strong: Fortnite Battle Royale! 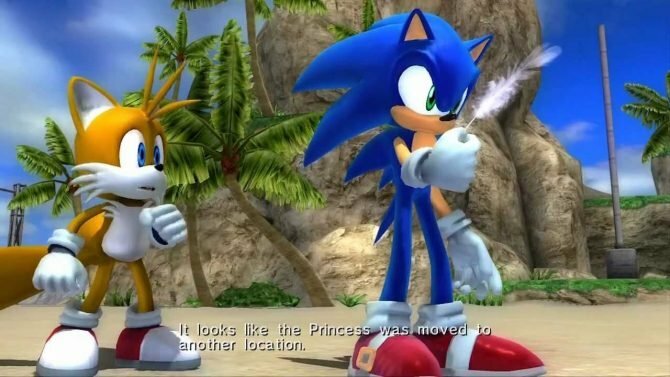 Well hey... why not? 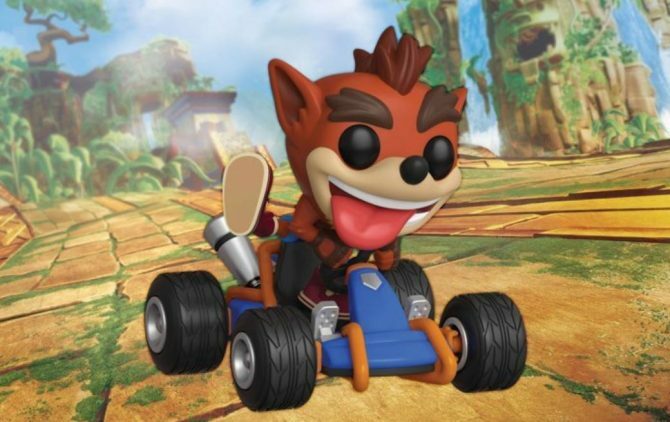 Everyone else is doing it! Even Drake. It’s time for another DualShockers Community Playdate! DualShockers Community Game Night: Armored Warfare. Attempt 2. Let's try this again: are you ready for some Armored Warfare? We think we are this week! 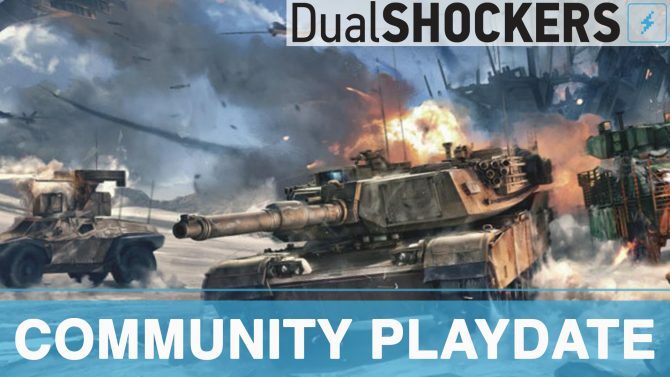 Hop back in your tank because we’re rolling out for DualShockers’ Weekly Community Game Night! DualShockers Community Game Night: Monster Hunter: World Part Three! It's time for Monster Hunter: World Part Three! DualShockers Weekly Community Game Night is heading back to the island for one more hunt! Come one, come all, it's DualShockers Weekly Community Game Night again! We've been having a blast with Jackbox Party Pack 4 so let's keep it going one more time. 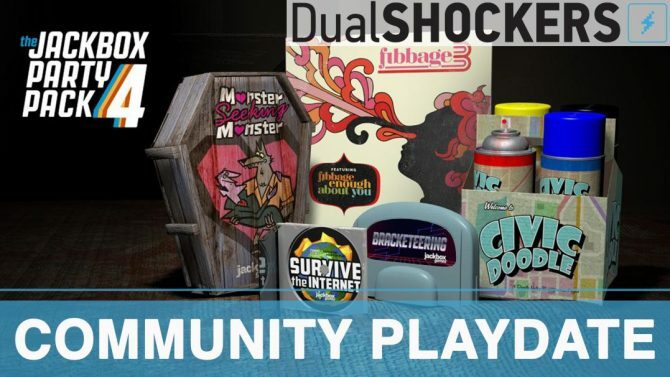 For this week's DualShockers Community Playdate, we're playing Jackbox Party Pack 4. 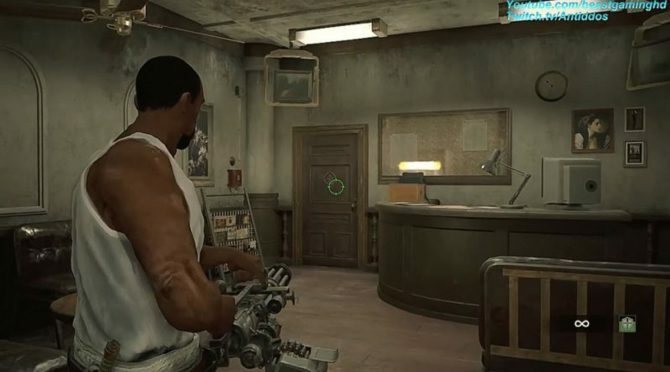 Here's the best part: you don't even need a copy of the game to play. 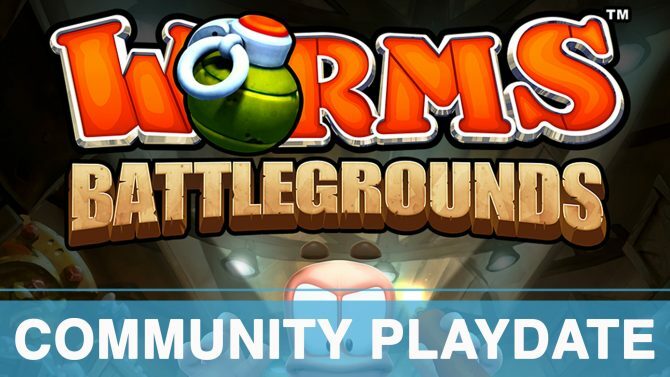 For this week's DualShockers Community Playdate, we're playing Worms Battlegrounds. Everybody get up it's time to slam now: welcome to the Disc Jam! 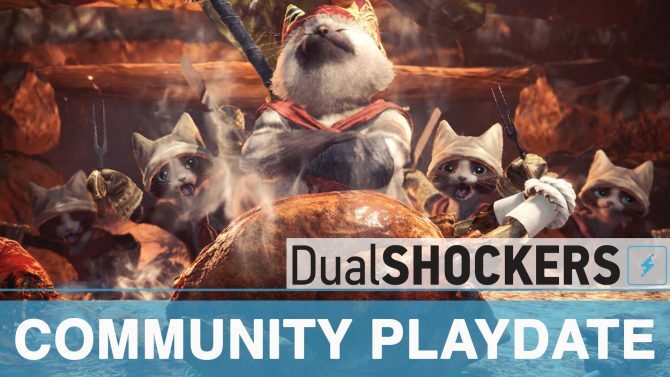 Before we hit the holiday weekend, we're hosting another DualShockers Community Playdate. 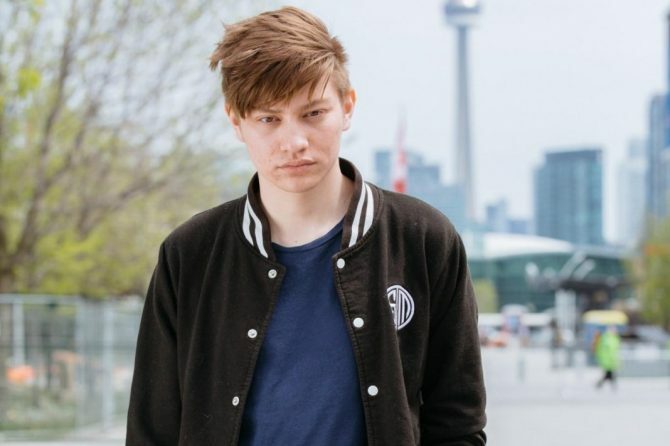 Last week was so much fun that we're heading back to the Battle Royale! It’s time for another DualShockers Community Playdate! Happy November! New month, new excuses to get back to killing each other. Together... as a family. 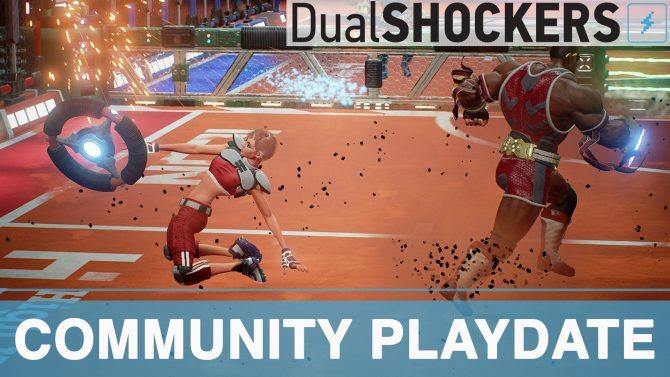 It’s time for another DualShockers Community Playdate! It’s time for another DualShockers Community Playdate: Spooky Edition! 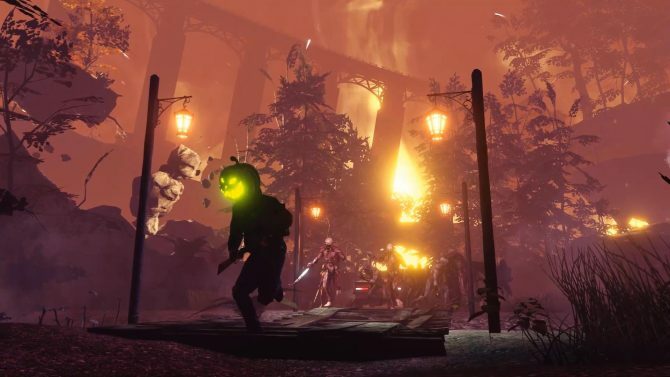 Come help us battle the Army of Darkness in Killing Floor 2!